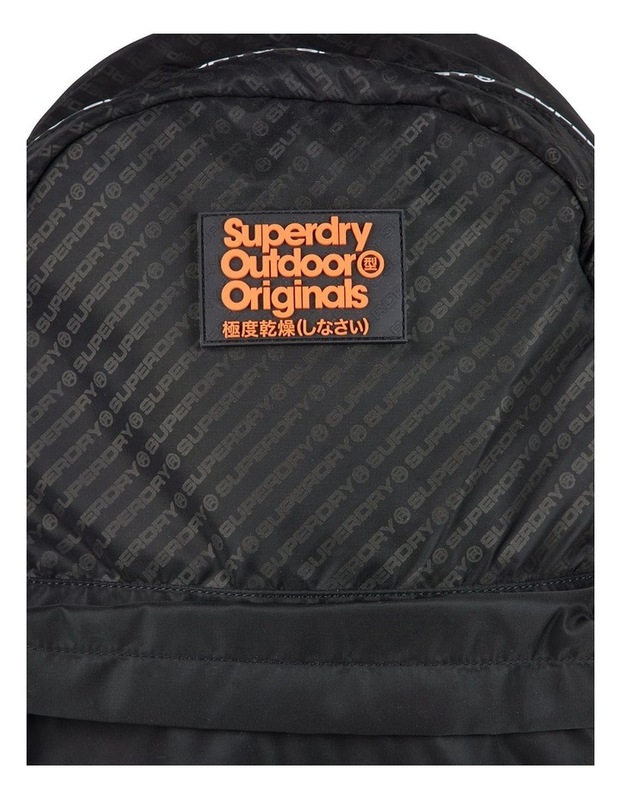 Superdry mens Hamilton Montana rucksack. 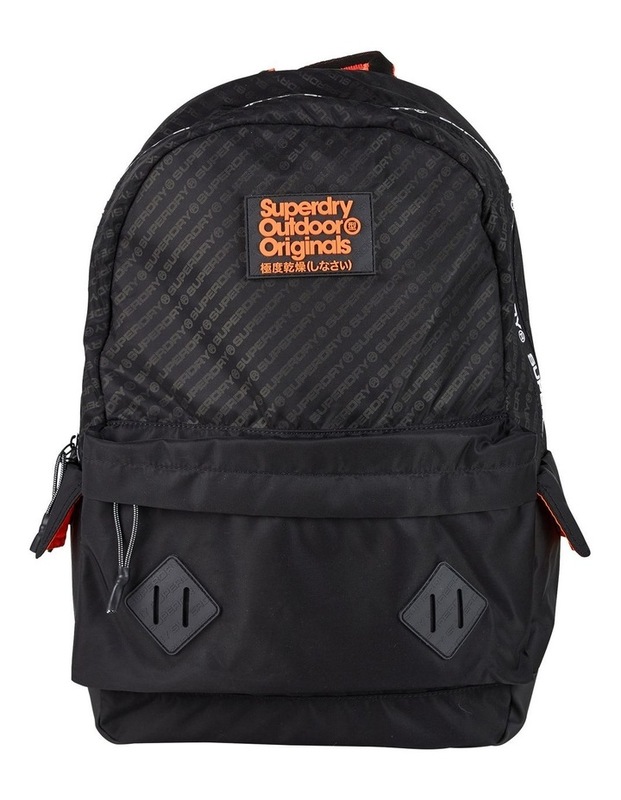 A classically styled grab top rucksack featuring a zip fastened main compartment, twin side pockets with popper fastening and a rubber Superdry Japan Outdoor logo patch on the front. 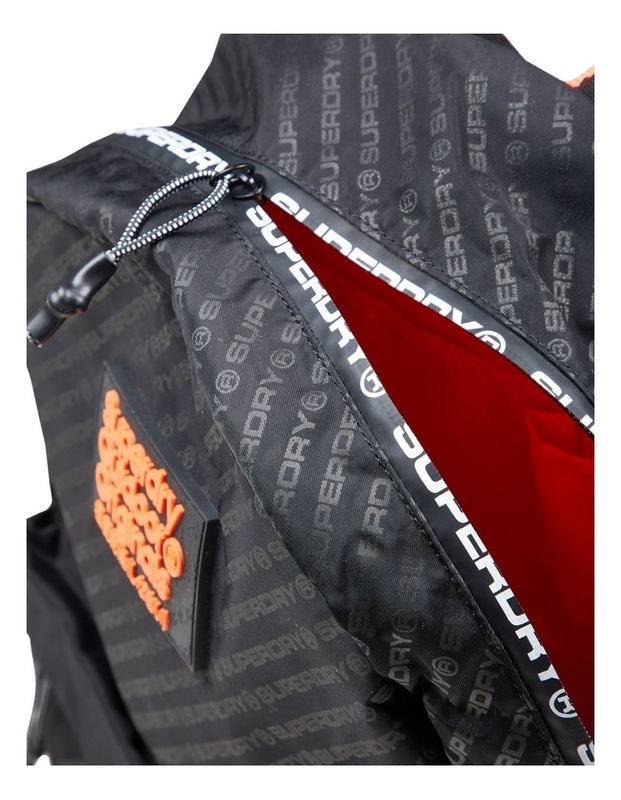 This backpack also features a padded mesh back, adjustable padded straps with reflective Superdry logo, and a smaller zip compartment.